It has been twenty years since Kurt Cobain died by his own hand in April 1994; it was an act of will that typified his short, angry, inspired life. Veteran music journalist Charles R. Cross fuses his intimate knowledge of the Seattle music scene with his deep compassion for his subject in this extraordinary story of artistic brilliance and the pain that extinguished it. Based on more than four hundred interviews; four years of research; exclusive access to Cobain's unpublished diaries, lyrics, and family photos; and a wealth of documentation, Heavier Than Heaven traces Cobain's life from his early days in a double-wide trailer outside of Aberdeen, Washington, to his rise to fame, success, and the adulation of a generation. 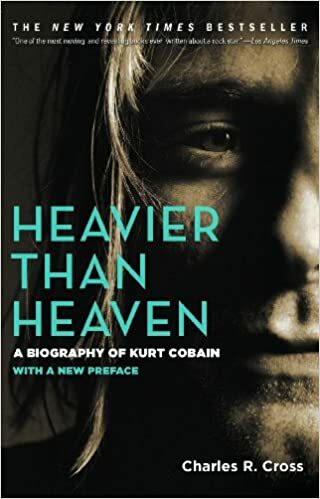 Charles Cross has written a preface for this new edition, in which he recounts some of the events regarding Kurt Cobain and this book in the past two decades since his death.